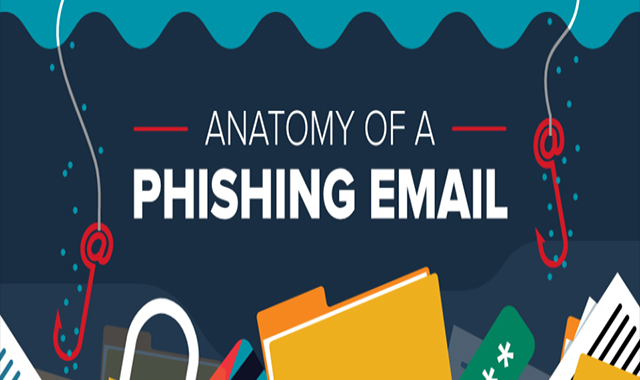 The Anatomy of a Phishing Email #infographic ~ Visualistan '+g+"
Phishing scams are one of the most common ways hackers gain access to sensitive or confidential information. In fact, according to the Verizon’s 2018 Data Breach Investigations Report, phishing is involved in 70 percent of breaches that feature a social engineering component. At the most basic level, a phishing scam involves sending fraudulent emails that appear to be from a reputable company, with the goal of deceiving recipients into either clicking on a malicious link or downloading an infected attachment, usually to steal financial or confidential information. If your employees don’t know the signs of a phishing email, your company is at risk. According to Verizon, the average time it took for the first victim of a large-scale phishing campaign to click on a malicious email was 16 minutes; however, it took twice as long — 33 minutes — for a user to report the phishing campaign to IT.